SENSI #34 AUTO CBD is the direct result of one of the most frequent requests we’ve had in the last few years. Finally, we’re able to answer this demand. This strain can be viewed as our latest incarnation of classic skunk, but with a THC to CBD ratio of 1:6. But it’s so much more than that. Tasty and resilient in equal measure, this strain is absolutely recommended for beginners (as well as experienced growers) looking for high CBD levels in a low-maintenance variety. SENSI #34 AUTO CBD is a compact plant averaging around 90 cm in height and is suited to both indoor and outdoor cultivation thanks to its autoflowering capabilities. Its yield is above average however, and a dedicated grower can achieve several yields a year with minimal effort. A high-quality CBD variety has never looked this good! The Sensi #34 Auto CBD strain has large proportion of Indica genes in its background. Sensi #34 Auto CBD will have a relatively long flowering time. Sensi #34 Auto CBD will have relatively small height gain during the flowering phase. Sensi #34 Auto CBD can produce a very large yield, but may require a little extra care to achieve their full potential. 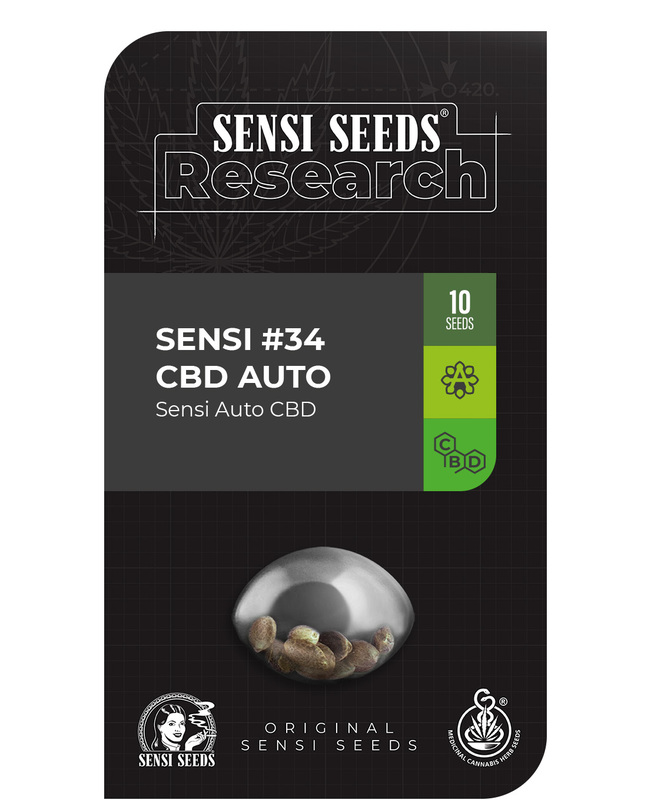 Sensi #34 Auto CBD Seeds is added to your shoppingcart! Sensi #34 Auto CBD Seeds is added to your wishlist!